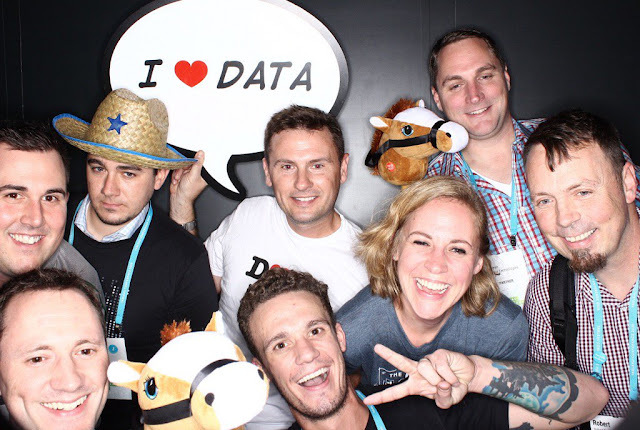 Since planning our meetings at the start of the year worked so well last year we decided to take the same approach to planning our Tableau User Group meetings this year. Additionally, we expanded our leadership team in order to offer more events and better content. You'll have to attend our next meeting to find out who are your new #MKETUG leaders! When planning our meetings for 2017 we took into account the feedback we received from our survey, which is still open, as well as polling from our most recent meeting. We have many ideas in the works and a few we have decided on already! While I would love to have an event each month, that might be too much for me to handle along with my full time gig, so we are committing to an event each quarter with many extras thrown in! For example, last month Jim Donahue organized another Analytics After Dark event, which is typically a happy hour event to discuss the variety of business intelligence solutions being created in the city of Milwaukee, but I put Jim in touch with Jacob Fink who works closely with a company called DatavizVR. Together they provided attendees with a live demonstration of the virtual reality software! As in past years I anticipate a July Virtual User Group to announce a new release of Tableau software. I'm also hoping for another War of TUGS (a visualization competition across user groups). I've learned from this year's event about how much time is needed and will plan for a Saturday "hackathon" to create a stunning contribution from the Milwaukee Tableau User Group. Thank you to all who attended the event last December - you're rock stars! Moving on to future events, we are hoping to have at least one Women+Data event (perhaps golf lessons?! ), a Girls+Data event (surprise! ), and maybe even a holiday party! Additionally, there are many other events taking place in the area. AE Business Solutions is having their annual symposium at the Harley-Davidson Museum on April 20th. I hear there is going to be an event at MillerCoors sponsored by Continuus Technologies. And there are multiple events being hosted by our friends in Madison. I hope you are excited as I am about all this great stuff. So, without further ado, here are the 2017 #MKETUG meetings! Not only will we have Tableau Zen Master (2016/17), Iron Viz Champion (2013), author of the Tableau Public Visualization of the Year (2015), and author of Practical Tableau (O'Reilly 2016) Ryan Sleeper joining us for his Tablueprints presentation but we will have small group discussions too. While the presenter is unknown at this time we plan on offering a hands-on makeover session. Leave a comment below regarding what you think we should focus on! There is currently an open slot for a member presentation but you can count on a panel discussion. Who would you like to see from the local Tableau community on that panel? Fresh from the Tableau Conference you can expect a wrap-up presentation and hopefully some equally amazing photos as this one. If you're interested in how we organize our group, I've written about it here and you're more than welcome to join our LinkedIn group where we post a bit more frequently. Of course, I would love to hear your thoughts on what we have planned, what else you would like to see us do, and if you would be interested in hosting our group in your space or presenting at a future meeting.